The 2006 Petit Castel (winery, snooth) was a blend of was Bordeaux blend of 50% Cabernet Sauvignon, 45% Merlot, and 5% Petit Verdot grapes. The wine had some complexity that made it particularly enjoyable. It was a bit pricey for not being outstanding, but it was a solid choice and one that could definitely go over well at a Passover Seder. I gave the wine 3 corks and purchased it $40. The 2003 Carmel Kayoumi Shiraz (winery, snooth) was 100% Shiraz grapes and was a wonderful addition to last year’s Seder. The wine had a nice, big body. Not only were there black fruits and smoke, but also a touch of meatiness, followed by coffee grounds and a hint of leather. It was a wonderful food wine and worked perfectly in the charoset (chopped apples, ground walnuts, cinnamon, and wine) I made for the holiday. I gave the wine 3 corks and purchased it for $33. The 2006 Bazelet HaGolan Cabernet Sauvignon (winery, snooth) was 100% Cabernet Sauvignon grapes. The wine had a nice black fruits, followed by hints of vanilla and olives. It had a good body, nice acidity, and was very food friendly. 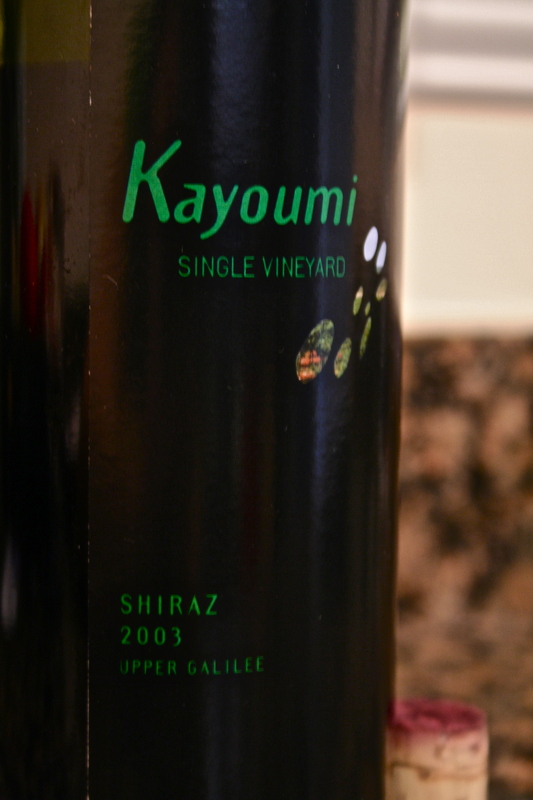 I actually reviewed the wine as part of Wine Blogging Wednesday #56, which was all about kosher wines. 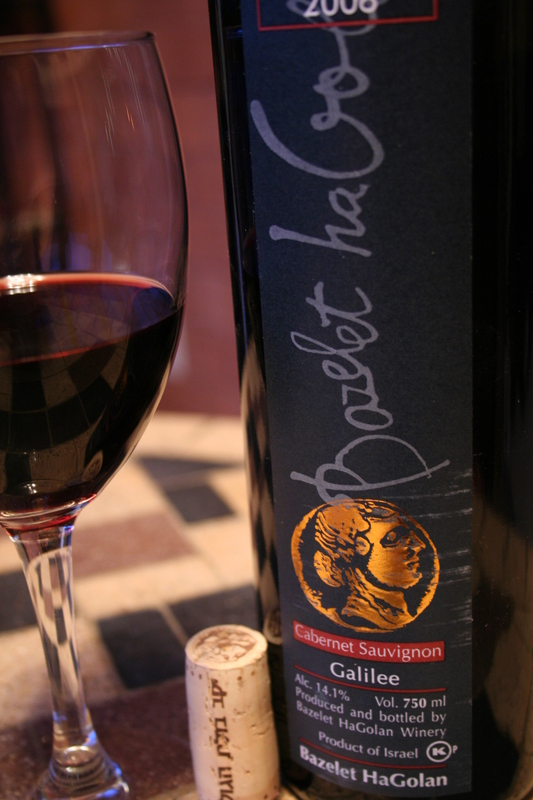 I posted about 4 wines, and the 2006 Bazelet HaGolan was by far the best. I gave the wine 4 corks and purchased it for $27. 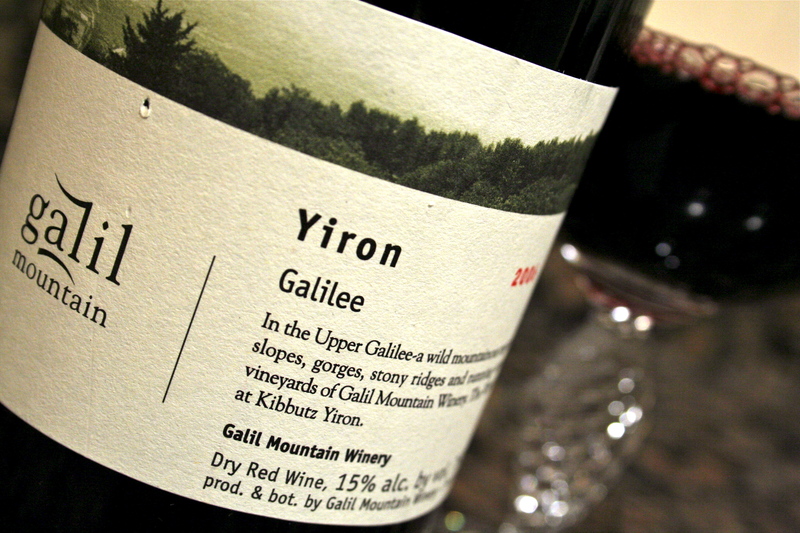 The 2006 Galil Mountain Yiron (winery, snooth) was 58% Cabernet Sauvignon, 37% merlot, and 5% Syrah grapes. The wine had a nice mix of black fruits, cloves, thyme, and cedar. 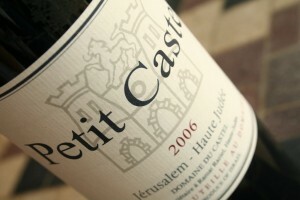 It was a big wine, with medium-to-high acidity and tannins that definitely benefited from time to breathe. Once decanted, the wine’s harshness was really toned down, transferring it from one that needed to be paired with food, to one that was food-friendly, but also enjoyable on its own. I gave the wine 4 corks and purchased it for $20. The 2008 Golan Heights Winery Cabernet Sauvignon (winery, snooth) was by far the best kosher wine I’ve reviewed over the last couple of years. 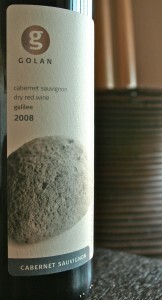 It’s made with 100% Cabernet Sauvignon grapes, and it dispels all of the stereotypes about kosher wines. It’s still a little young, so black fruits dominate the wine, but it has a surprising smoothness and promises to develop into a beautifully complex wine. Even if you’re not looking for something kosher to drink, this is worth picking up. It will definitely surprise you. I gave this wine 4.5 corks and purchased it for $16. Do you have a catalog you could send? I hope that is helpful, and thanks for commenting. New York, NY, Jan. 15, 2015 –The Kosher Food & Wine Experience (KFWE), New York’s premiere kosher food and wine event, will come to New York City on February 9, 2015. Now in its 9th year, the KFWE has grown to be the destination of choice for serious wine lovers and foodies the world over. This year’s show will be biggest yet and will be at a new location – Metropolitan Pavilion – in Manhattan’s trendy Chelsea district (125 West 18th Street, New York, NY 10011). The daytime portion of the event is open exclusively to the trade and press. More than 300 wines and spirits will be on hand for sampling, with many new wines making their debut at the show. The evening event, open to the public, will also feature top caterers and restaurants offering tastings from their menus of gourmet specialty foods including BBQ, sushi and Asian/fusion fare, as well as creative desserts, coffees and teas. An exclusive tasting for press and trade that offers direct access to many of the winemakers and winery owners complimented by a select tasting of food from some of the area’s top kosher caterers. The event is open to consumers after 6:30 pm by advance ticket purchase. Tickets are available for $125 and only available online at http://www.kfwe2015.com. This event has sold out every year and no tickets will be sold at the door. KFWE will also be held in London (Feb 4, 2015), California (Feb 11, 2015) and Miami, Fla. (Dec 20, 2015).